Usually, parents transfer their children from cots to a toddler or single beds around the age of 18 months to 36 months. To facilitate the transfer it is important to choose the correct bed frame, mattress and bed position in the room. Avoid placing the bed near or opposite the window, as intense sunlight can disrupt the child’s sleeping pattern and the cool air during the winter months can cause a cold or flu. Most chiropractors and pediatricians recommend buying mattresses that are made with the innerspring systems as they tend to provide the best support to easily bendable child’s skeletal bones. Moreover, they last much longer than the regular foam mattresses and better withstand moisture. On the other hand, latex mattresses take the same of the body after a few months of use thereby losing their properties. Plus, children grow very fast at this age and soon the mattress starts causing back strain as its shape still stays the same yet the child has grown already. 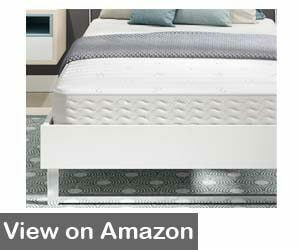 Foam mattresses with good body shape memory are best for adults but not children or teenagers for that matter. Another thing to consider when choosing the best mattress for kids is what bed frame you are going to place the mattress on. Children at this age don’t necessarily need a whole bedroom ensemble and a standard slatted base will do the job. However, make sure that the slats are positioned no further than 5 centimeters from each other. Furthermore, respected chiropractors such as Dr. Bergby of California School of Chiropractors, strongly oppose bunk beds as they tend to cause more injuries than any other beds. Mainly because children either slip from the ladder or jump off themselves. Boys have been reported to suffer the most as they tend to jump off rather than use the ladder more often than girls. How often should you replace the mattress? 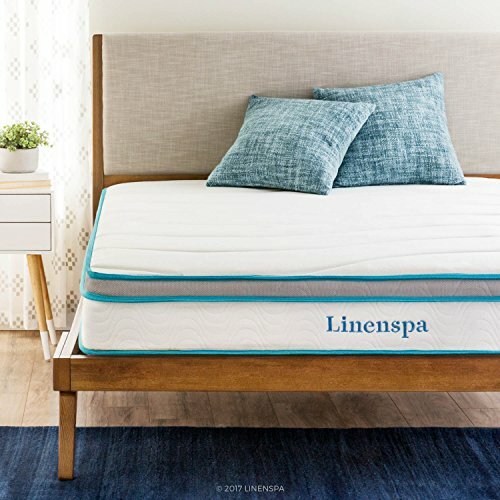 LinenSpa is an American based mattress manufacturer that has combined the traditional memory foam with solid spine support of an innerspring interior. The medium-firm mattress will provide your child with maximum comfortable sleep while maintaining his body in the most natural position that will not hinder his development and growth. The mattress is covered in snug, knitted fabric and the 1.5-inch memory foam eases the common pressure points. 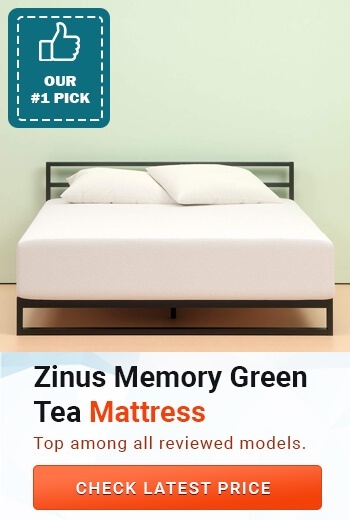 This 12-inch Zinus mattress has been tested at a number of institutions was CertiPUR certified for its durability, performance and anti-bacterial green tea memory foam filling. The mattress compromises of several different layers that carry their own individual function. 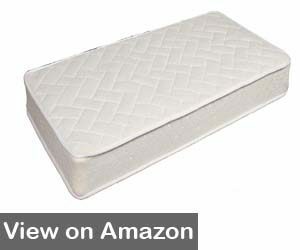 The top layer is made out of 3 inches pure memory foam that provides the necessary comfort for a good night sleep. The second later is 2 inches high Comfort foam and the third layer is a 3.5-inch Airflow High-density Foam. The base of this Zinus mattress is made out of 3.5 inches Airflow High-density Base Support Foam and pre-treated against bed bugs and dust mites. All layers are made from green tea infused foams that help the mattress maintain its freshness. 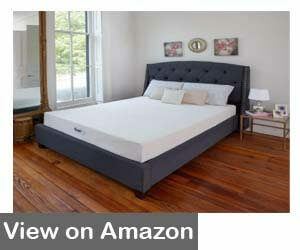 Users have reported this mattress to be the best queen size mattress on the American market. It is also one of the most affordable ones, especially when you compare its properties and quality. Tuft and Needle is a mattress manufacturer who has long solidified its position as one of the best mattress producers in the industry. All mattresses that are made by Tuft and Needle come with a 10-year guarantee and potential buyers can make use of the 100-day free mattress trial to decide on whether it’s the mattress that suits them best. The interior of the mattress is made out of 10 inch T & N adaptive foam that provides enough of the “bouncy effect” yet is capable of holding the body weight in the right position. Moreover, the T & N adaptive foam stays cool throughout the night even on hot summer days and provides great pressure point relieve. 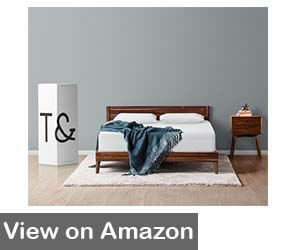 Plus, parents can purchase this mattress in a bundle pack that offers two pillows aside from the mattress. This Signature Sleep twin mattress is made out of a 7 inch 15 gauge single encased coils that contain a thick layer of foam on top and below. What makes this mattress great is that it can be easily reversed thereby prolonging its lifespan as the weight of the body is evenly distributed. The total mattress coil count is 480 independently encased coils with foam padding that lay inside the mattress frame that is covered in soft, knitted fabric. 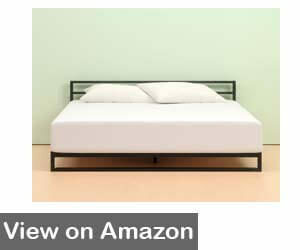 The mattress is best used with box spring beds, children’s bunk beds, and platform or trundle beds. The mattress, like the ones above, has been tested and Certi-PUR certified as it does not contain any harmful chemicals or components such as formaldehyde, PBDE’s, flame retardant material and heavy metals such as lead and mercury. This Life Home medium firm mattress can be flipped to prolong its lifespan and evenly spread the wear and tear aspect of using a mattress. The inside of the mattress is made with 15 independently gauged coils and a synthetic layering for ultimate sleeping comfort. The mattress has been Green Foam certified and the inside foam has been sprayed with different plant oil to provide freshness while scaring off any dust mites or bed bugs. It arrives rolled up in a very small box so you would need to free it up from its shrinking packaging and let it seat in the open for a few days before fully using it. It is capable of withholding individual that weight up to 180 pounds, but heavier ones are very likely to feel the springs and the base when sitting or sleeping on the mattress. When evaluating different kid’s mattresses, this one turned out to be the best queen size kid’s mattress because of its quality and price. 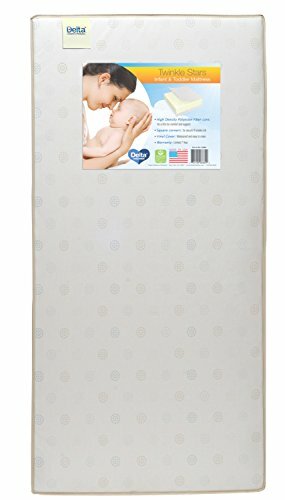 A high quality, medium firmness mattress that will offer solid support to your child’s spinal system and will relieve common high-pressure points during the night. The cooling gel infused layer helps regulate body temperatures during the sleep and makes good sleep even better. The layer is made from a mesh-like material that is ultra-breathable and washable too. The Olee mattress manufacturer offers an honest 10-year guarantee and free 30- days trial. 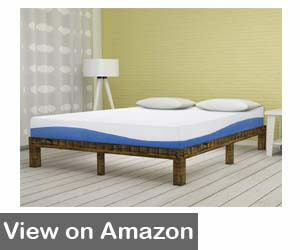 Moreover, the high-density mattress base makes it durable and long-lasting. Classic Brands have used the latest technological advances in designing and creating the queen size mattress, it includes 2 inches of gel-infused memory foam that make the mattress very breathable and cool. 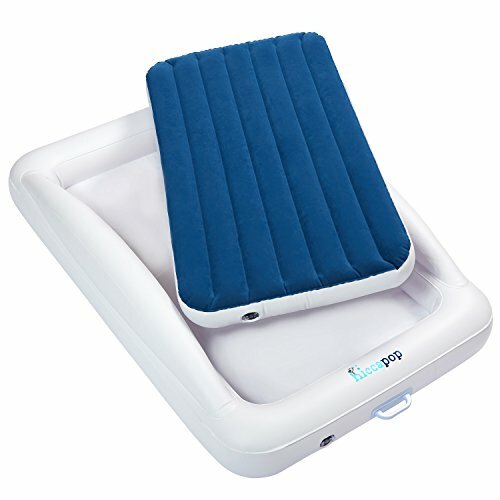 Also, the 6 inches of high-density base foam plays a vital role in providing adequate support as well as common pressure point relief. Moreover, the mattress is great for children with spinal problems as it offers the right spinal alignment during the sleep. The gel used in the production of this mattress is anti-bacterial in nature and this helps guard the mattress against dust mites that can cause allergies and asthma attack. Toddler beds are designed to provide essentially the same comfort that a cot bed does. Plus, bed frames in toddler beds ensure that children do not fall or roll over the edge. Some children find it very difficult to adjust to their new “big” bed and find themselves stressing out and losing sleep. If that is the case with your child then a toddler bed might be the solution. However, with toddler bed what matters the most is the type of mattress that you purchase as the child’s spine between the age of 18 months and 36 months rapidly grows and changes shape, particularly during the night. Therefore, it’s critical that the mattress you choose provides adequate skeletal support. Children till the age of at least 12 years require a good quality mattress that provides solid skeletal support yet allow the spine discs muscles to relax during the night. Plus, the whole body must be positioned in the most neutral way that greatly minimizes neck and back muscle strain while allowing the skeleton to grow without any complications. Toddlers can grow up to an astonishing 1.5 centimeters during the night and this growth is usually caused by the intervertebral discs filling up with liquid. In other words, the best mattress for kids is the one that provides vital body support during the night without allowing the body to sink into the mattress. It is hard to predict what sleeping on a bad mattress can do to the spine as most children grow and react differently to external factors. However, it is important to remember that growing spines are extremely flexible and this can be good and bad at the same time. In unsuccessful falls and jumps, the spine flexibility helps avoid serious injuries. On the other hand, the flexibility can deform the spine to a point that the child begins to experience back and neck problems. This can easily occur in children whose spine is constantly deformed as a result of spending 10-12 hours on a bad mattress. 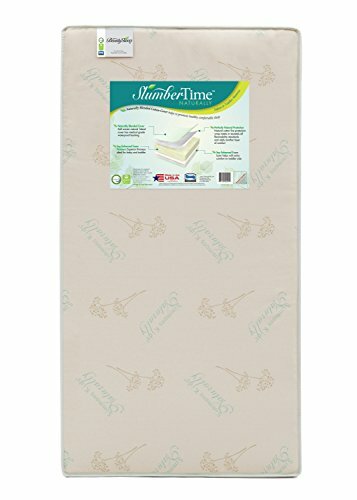 Innerspring mattresses are not cheap, however, if you are planning on having more than one child consider buying such mattress as an investment. As there is absolutely no reason why several children cannot sleep on one mattress provided it is taken care of. When thinking about how often should you replace the kid’s mattress, evaluate the quality of the bed and how big is your child. If your child has not grown out of his current mattress and it still holds its shape, there is no reason to replace it as high quality sprung mattresses can last up to 5-8 years. According to leading specialists, the general rule of thumb is to replace the mattress once in 3 years if your child is between the age of 0-7 years and once in 5 years if your child is between 7-16 years. On the other hand, a latex mattress fully takes the shape of the child’s body in about a year. So they are not recommended for anyone under the age of 18 years. Latex pillows, on the contrary, could be a great solution for a child’s head and neck but they would need to be changed every 2-3 years depending on how much your child’s sweats and how often you clean the pillows. By American and most European countries law, all new beds and mattress must be pre-treated against dust mites, bed bugs, and other common mattress culprits. However, given that children like adults lose about 1 liter of body fluids during the average sleeping time, it is not guaranteed that these bugs will not occur at some point of mattress use. In addition to the body fluids that children lose through breathing and sweating, they shed of millions of skin flakes as well. To give your chosen mattress some extra moisture barrier and anti-allergenic properties, look to buy a good quality mattress protector. Besides, small children might have additional unexpected accidents during the night, particularly if they are not potty trained. Furthermore, some parents choose to pre-treat a kid’s mattress using various sprays that are now available on the market. These sprays are essentially a cocktail of extremely harmful chemicals and thought they prevent bugs taking a permanent residence in your child’s mattress, they do not protect it from moisture related dangers. Moreover, when you compare the benefits that these sprays offer versus the toxic-free mattress protectors, the latter clearly wins. To prolong the mattresses life, try to regularly clean it and take it outside to sit under the sun at least once in every 3 months. Also, when cleaning the mattress, thoroughly clean other linens too. Wash the sheets, pillowcases, and blankets in hot water if the fabric permits. 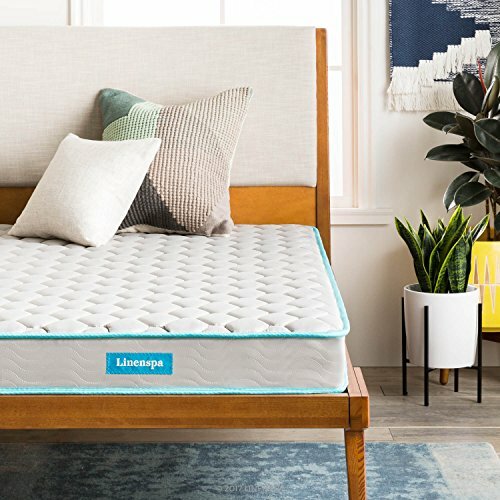 Having evaluated all the mattresses in this article and read the various reviews, I would go with the Zinus mattress if the budget would allow it. It seems to be the one that is capable of withstanding the wear and tear that is associated with raising a child. Plus, it stays cool even on hotter days and would a great solution for families living in southern states where summer temperatures soar. 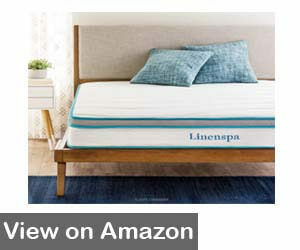 For a more budget-friendly mattress, I would suggest the LinenSpa twin mattress. It might be not as cool as the Zinus mattress but it still comes with the most basic features one would expect for a kids mattress.